Websites are arguably the best tools for any business venture in order to become successful in this competitive environment. When it comes to on-line businesses, the key to make more money and getting famous is to drive massive traffic to your website. Most website owners nowadays are exploiting the power of Search Engine Optimization to create a strong on-line presence. In this Internet age, it is extremely important for the website owners to optimize their website for search engines. Everyone on the Internet uses search engines to search for relevant information and therefore, the website optimization is of utmost importance. The results of being highly ranked on search engines are obvious. All successful websites derive a huge chunk of their traffic via search engines. 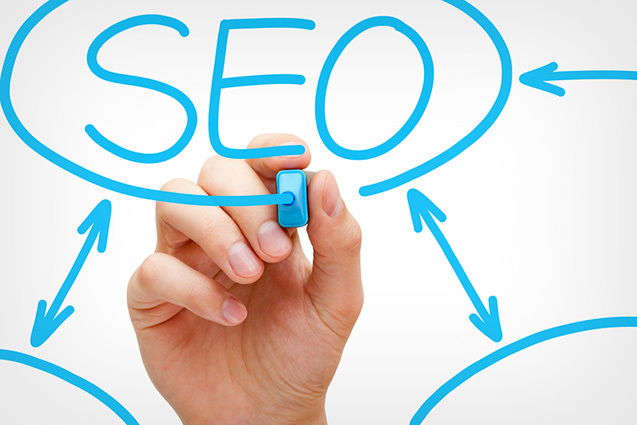 Moreover, it is also important to ensure that you are using the best SEO practices in order to reap benefits. Let us discuss about the best ways you can optimize your website for search engines. Content is what differentiates your website from others. Search engines index websites that provide quality content. Keywords stuffing and every other technique of SEO worked previously but search engines have now become smarter and index mostly based on web site content. If your content is quality enough, your chances of getting indexed on search engines is higher. The title of your article or web page plays a major role in search engine indexing. Try to make it as innovative and strong as possible. Description should be a brief informative summary within the word limit to provide information about your website. Use the keywords and sub-keywords in your tags and Meta tags. Search engines use keywords to index your website and hence, you must choose your keywords and sub-keywords wisely. However, try not to stuff keywords for the sake of it. Such a thing will only discourage search engines from indexing your website. Markup language is extremely important as well. For title, use <h1> while for subsequent headers, use <h2> and so on subsequently. Use proper markup text for pictures similarly. In order to accelerate your quest for search engine indexing, try to create links for credible blogs and other websites. For example, provide links to news articles and other websites, which will make your website credible in the eyes of search engines. The URL must be clear and concise. Rather than being flashy over there, try to keep it simple. Search engines index straightforward URLs, which convey your title message, faster. Large and complicated URLs are mostly marked as Spam by search engines so try to keep the URL clean. To sum it all up, ensure that your SEO practices are simple and honest. Do not indulge in practices, such as keyword stuffing and wrong titles, for fooling search engines. Doing so will only lower your chances of search engine indexing.